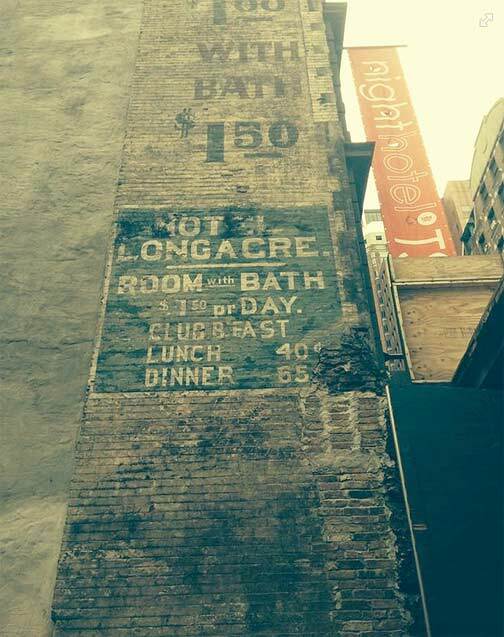 Here’s an ancient painted ad that’s been exposed for a few months on the north side of West 47th Street between 6th and 7th Avenues for the Hotel Longacre, showing the going rates for lodging from about a century ago. You could get a room for a buck, or with its own separate bathroom for $1.50, and lunch went for 40¢, dinner for 65¢. The building is still home to the Night Hotel. A demolition next door has exposed the ad after quite a few years. Whether it stays in view depends on whether the new building covers it again. 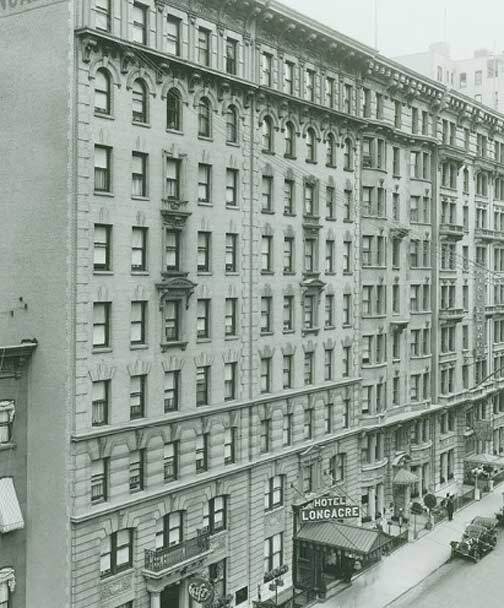 Here’s a view of the hotel from about 1915 or 1920 from Digital Culture of Metropolitan New York. A little digging shows that the building that bears the sign was Hotel Longacre. Opened in 1904, it was a stag hotel. In its advertising, it boasted being “exclusively bachelor” and “absolutely fireproof,” with amenities like a library, billiard hall, and restaurant. The hotel’s name is a clue to Times Square’s past. Before the Times Tower, now covered completely in ads, was built in 1904 as the New York Times’ then-headquarters, the confluence of 7th Avenue and Broadway was called Longacre Square and was the home base of NYC’s carriage and buggy trade — as was Longacre Square in London, England, from which NYC borrowed the name. Wow, thanks. I’ve been looking for the location of this hotel. I drove down to NYC in 1987 with some friends from Nova Scotia. We had only a few bucks. Stayed here four nights in June. Hot and dirty. Women and men only floors, $15 a night. Time Square was pretty seedy back then. No money for food but had enough for smokes – $1 a pack and I was smoking constantly as we were all amazed and freaked out. Made it out of there with borrowed money for gas (sorry Dad) with only a broken car antenna. No money for souvenirs so I picked up a Yellow Pages and a fallout shelter sign from the hotel. What an adventure for a closeted naive 19 year old. I saw a similar picture in a YouTube video I just watched. Dug around and I’m glad to find this. 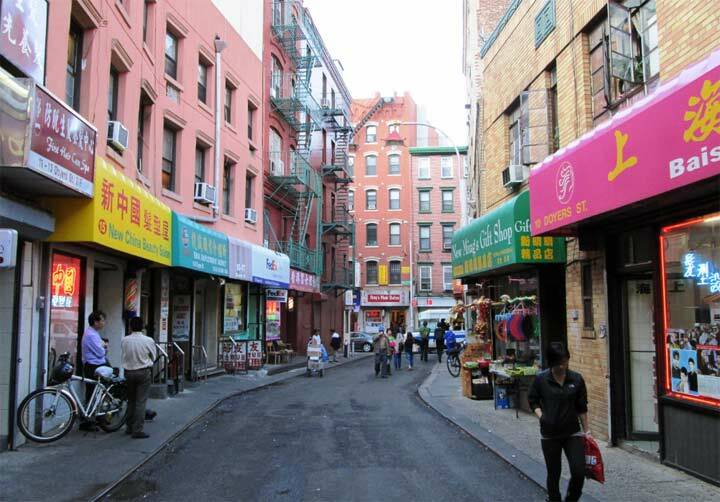 The original name to Time’s Square, and the name of the old hotel, is my family’s last name. Super exciting to find that my family namesake has a pretty cool history.